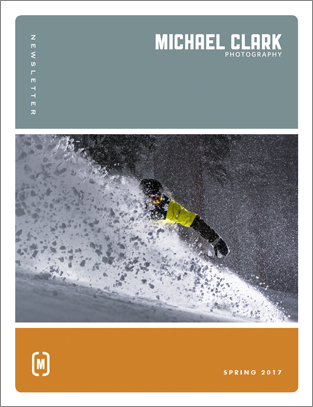 The Spring 2017 issue of the Michael Clark Photography Newsletter is now available for download. If you’d like to sign up for the Newsletter just drop me an email and I’ll add you to the mailing list. This issue includes an editorial with recent news, a review of Wacom’s Intuos Pro graphic tablet, an article detailing a recent assignment with the Red Bull Air Force, an editorial entitled The Purple Cow, discussing a book by Seth Godin, and much more.